Guess what's tomorrow night? 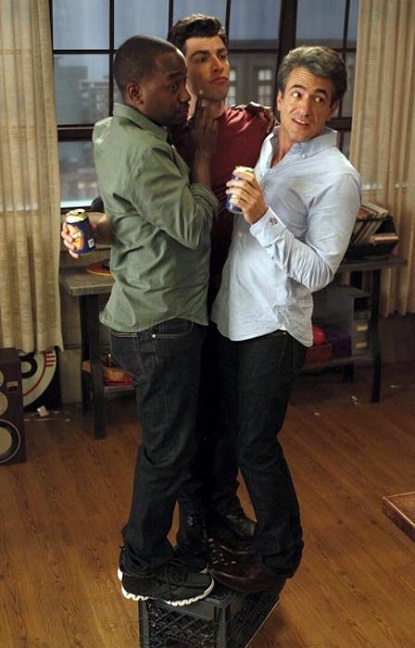 Yup, the premiere of New Girl season 3! Will you be watching? P.P.S: And if you're in the mood for some telly fun, here is exPress-o's movie club to check out. New Girls, Bones, Girls and Modern Family. Those are my fave shows that I can't wait to start watching again. I am bookmarking the drinking game. It will happen in our apartment very soon hahah. I've never watched new girl, but it sounds like a fun show! Sounds like a blast! I don't think you're ever too old to have fun like you're still in your 20's! It took me forever to really like this show. i thought at first it needed to be canceled but I gave it a whirl again over the summer for something desperate to watch on summer nights and I loved it. I found myself crying laughing. Amy, it took me probably 5 or so episodes to really start liking it. They are so funny, aren't they?